Don Johnson is an industrial/organizational psychologist and test developer with many years of consulting experience in career and leadership development, executive coaching, outplacement counseling and personnel selection. He presently owns Sun River Research and Consulting of Bow, NH. His company provides employee survey research, managerial assessment and development, test construction, job analysis, team building workshops, and career development counseling. His corporate clients have included AMP, Alex Lee, Inc., Eastern Analytical, Price Chopper, Rutland Regional Health Services, United States Department of Agriculture, US State Department Foreign Services Agency, Blue Cross/Blue Shield of New Hampshire, State of New Hampshire, the City of Keene, PATH Medical, and Pitco Frialator. Dr. Johnson has developed many new tests for use in career development, organizational development, and personality assessment. 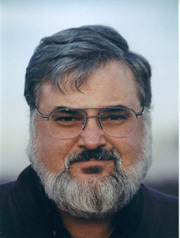 He is an expert on the Personality Assessment System used with the WAIS-R and Jungian psychological type. He has conducted numerous training workshops for professionals throughout the USA and Canada. He is the author of The Personality Profiler, a measure for psychological type, and is co-author of numerous other surveys and tests including the Values Arrangement List (VAL), Values Arrangement List for Teens, and Values Arrangement List for Organizations (VAL-OR). He is an adjunct faculty member at Southern New Hampshire University, Plymouth State College, and the New Hampshire Technical Community College. Prior to starting his own business in 1994, Dr. Johnson was employed by Landy, Jacobs & Associates of State College, PA and ORA, Inc. of Mount Laurel, NJ. At both of these companies he worked as an industrial / organizational psychologist or test development specialist. His work at ORA involved consulting for state and federal government agencies and a few Fortune 500 companies, including Dupont, AMP, Supervalu, Fleming Foods, Alex Lee, Inc., and the NJ Turnpike Authority. He also worked for a year at Data Tactics of Bala Cynwyd, PA where he was the manager of advanced statistics in market research, primarily for the medical and pharmaceutical industries. In the 1980’s Dr. Johnson was a research faculty member of the Department of Community Health Care Systems at the School of Nursing, University of Washington, Seattle. He also served on staff as a statistician at the Seattle VA Medical Center, Department of Health Services Research and Development. Prior to that he worked for the Center for Health Studies at Group Health Cooperative of Puget Sound, Seattle, where he conducted survey research for five years. Dr. Johnson graduated from the University of Washington (Seattle) with a Ph.D. in Psychology in 1987 and from the University of Colorado (Boulder) with a BA in Anthropology in 1975. Dr. Johnson has had a long term interest in the UFO phenomenon and maintains a computer database of over 150,000 UFO reports for the J. Allen Hynek Center for UFO Studies, called UFOCAT. He is also an avid student of the effects of rapid climate change events (RCCE) on human cultural and genetic evolution, and is currently doing research for a book on the effects of a bubonic plague epidemic on the population of Iceland.